Wanna feel fabulous? Try one of these delicious bars created by 6. Milk Chocolate with Caramel, Rice Krispies, Hazelnuts, Toffee, and Sea Salt will tantalize your taste buds! 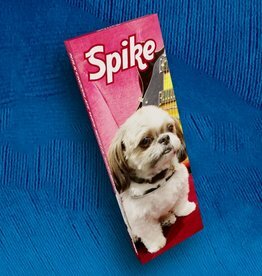 Introducing the Spike the Dog Bar! It’s a 1/4lb of Milk with Chocolate-Hazelnut Spread, Hazelnuts & Dark Chocolate Chips! Check out Spike’s adventures on Instagram! Follow him at spikesgram. Black Spell is born from stories and legends about witches and sorceresses that offered candy or food on which they had cast a spell. 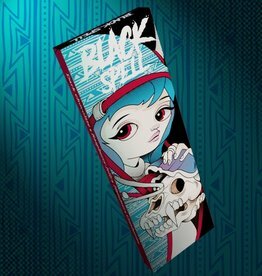 The Black Spell Bar is a 1/4lb of dark chocolate with raspbery jelly, hazelnuts and cranberries.